Home > Wolfgang Product Line > Wolfgang Perfekt Vision Glass Cleaner 32 oz. 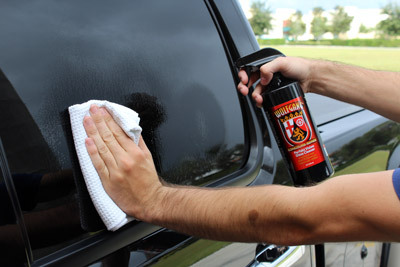 Cleans glass so well you might think it’s invisible! 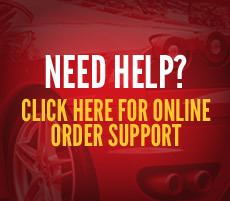 My team is a diverse one when it comes to which aspect of car care we each enjoy most. The head of product development for Wolfgang Car Care loves washing his car; my secretary is obsessed with keeping her wheels clean, and my production manager enjoys cleaning and protecting his dashboard to keep it spotless and well protected. My peculiarity – or quirk as my team would call it – is glass. I’m not happy until my glass is so clean that it’s nearly invisible. Honestly, this has been a challenge with a market that’s filled with subpar glass cleaners, so I set out to develop my own. Wolfgang Perfekt Vision Glass Cleaner is absolutely, positively the best glass cleaner you will ever use. I’m so confident in its performance that I wanted to name it Bob’s Magical Glass Cleaner, but my team – bless them – talked me out of it. So we named it Perfekt Vision Glass Cleaner instead. If you’re wondering, the “k” is on purpose – this is a German brand after all! Wolfgang Perfekt Vision Glass Cleaner relies on advanced chemistry instead of inexpensive, high-octane cleaners. Don’t be fooled though, this intense cleaner is strong enough to cut through the tough stuff, including fresh water spots, vinyl fogging, grease, grime, and even smoker’s film! What’s more, Perfekt Vision Glass Cleaner imparts a hydrophobic coating that causes water to bead up and be whisked off the glass at speeds in excess of 30 mph, improving safety by increasing visibility in wet-weather conditions. Arguably the most important aspect of any glass cleaner is ease of use, and we’ve got that covered as well. Perfekt Vision Glass Cleaner doesn’t streak or smear, and it wipes off without creating a hazy finish. What you’re left with is glass so clean that it’s almost invisible! I travel to car shows all over the country, and I can honestly say that 9 out of 10 people don’t know how to properly clean glass. First and foremost, never attempt to clean glass that’s hot to the touch. 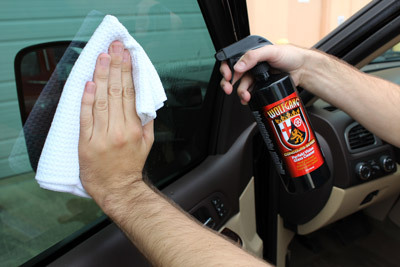 Second, spray a liberal amount of cleaner directly onto the glass and wipe away residue using a Microfiber Glass Towel. Last, but certainly not least, spray the section you just cleaned with a FINE MIST of glass cleaner and use a second, CLEAN, DRY Microfiber Glass Towel to perform the final wipe. Use plenty of towels – one or two won’t cut it. Wolfgang Perfekt Vision Glass Cleaner 128 oz. Free Bonus!